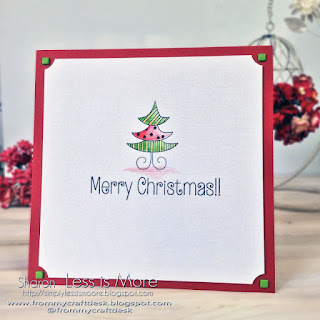 We'd like to thank everyone who played along with Kath's "Non-Traditional" Christmas Colors Challenge. There were many wonderful entries and the Watercooler Artists enjoyed visiting your blogs to see all of your great designs. 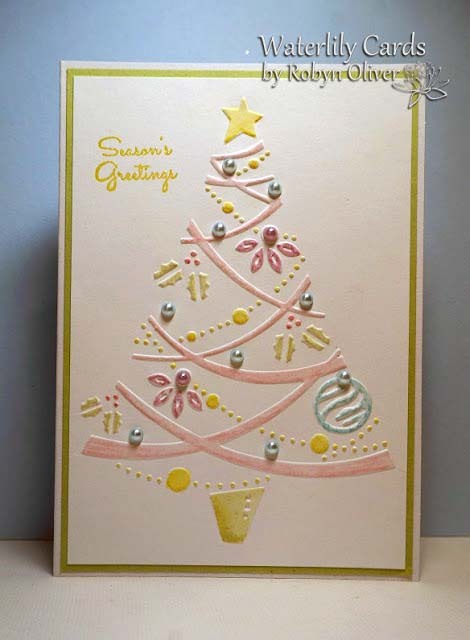 Kath's choice for her winner is Robyn Oliver's embossed Christmas tree design. Following the winner are the Watercooler Artists choices for Honorable Mentions. 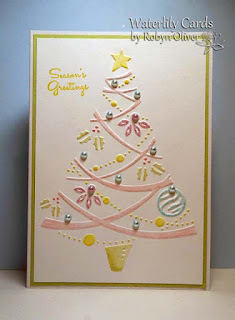 Kath's Winner: I like the soft pastels and colored pearls. Congratulations, Robyn. Here is your badge to proudly display on your blog designating you as our challenge winner. 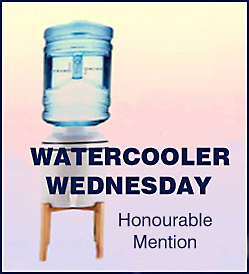 And now it's time to share the Watercooler Artists choices for our Honorable Mentions. Gail's Choice: The design is simple and the bright neon-like colours are so happy. 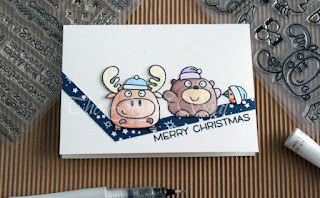 Heidi's Choice: I love those chubby critters and the way she used the chevron strip to ground them. Clean and simple but very striking. Judy's Choice: I love the fun take with all the blues and great image. 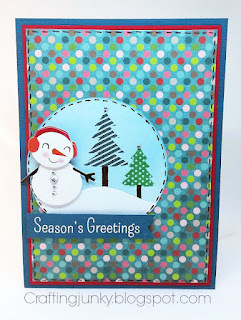 Penny's Choice: I love the acetate cover on this card and the beautifully coloured snowmen. 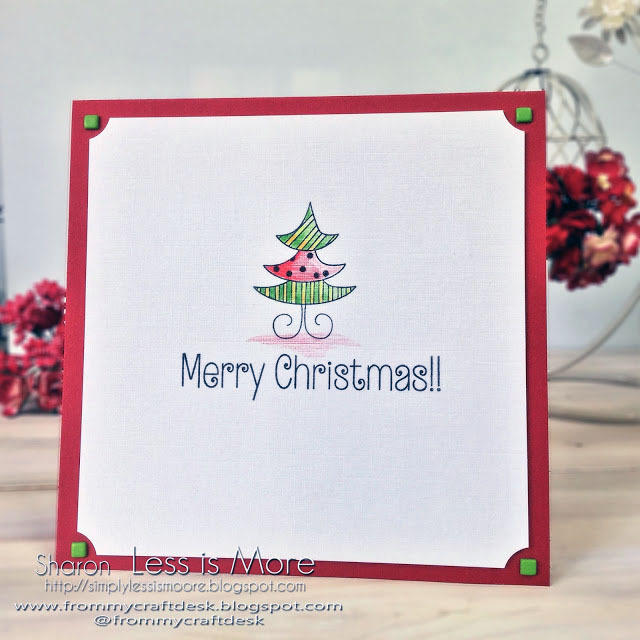 Libby's Choice: Great non-traditional colors and a cute look on the snowman's face. Fiona's Choice: Ilove her collage of papers and the non-traditional colours she has used. Marsha's Choice: Non-traditional colors mixed with the traditional. A clean and simple but effect design. Emily, Charlotte, Margreet, Sherri, Celeste, Jane and Sharon here is your badge to proudly display on your blog designating you as an Honourable Mention. 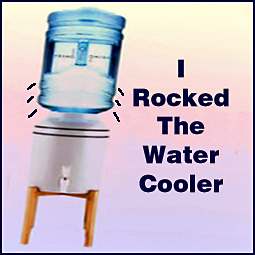 You will definitely want to stop back tomorrow, July 5th, for our next Watercooler Wednesday Challenge. Shhh! It's a surprise and I can't say anything more until tomorrow. You'll want to check it out along with all the wonderful designs by the Watercooler Artists. 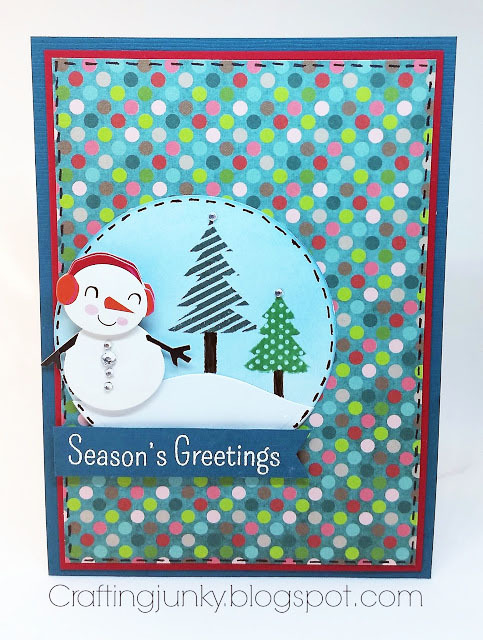 Thanks Gail for picking my card as an honourable mention, congrats to all the other honourable mentions and the winner Robyn. Such a great assortment of cards showing you really can do Christmas in non-traditional colours and have yours cards looking fab! Thank you for choosing my card as one of the Honourable Mentions. Congrats to all others and the winner.